There is nothing as frustrating as seeing a rock take a pot from you when they show you the nuts and you called them down with nothing but two pair. You feel somewhat of a chump for calling down with such a weak hand. But this is exactly why watching your opponents very carefully is so important. In games like full ring then rocks thrive for one simple reason, this is because they can fold far more and still make money. Folding is what the rock loves but they love it even more when someone pays them off and they thrive in weaker games where their strategy gets paid off often enough by weak players or even the odd strong loose-aggressive player who hasn’t noticed that they are a rock. They like full ring games as stated because they can fold more but this allows us a sneak preview into their mind-set. This is because if they will not commit a lot of chips unless they have a lock or a powerful hand then this allows us to build a framework for how they like to play and what their method of operation is. 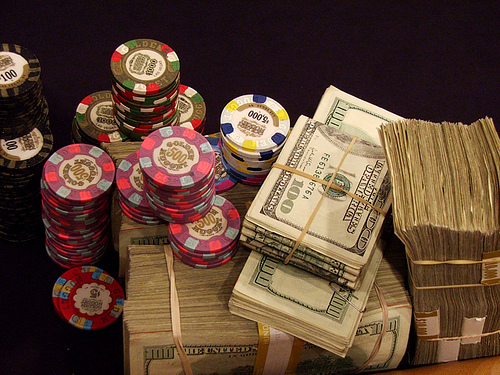 For example rocks in full ring games will steal and bluff but only pre-flop and on the flop. They may fire another barrel on the turn but they will never go for the big river triple barrel bluff. So when they show every sign of betting and raising early in the pot and that they want to play for stacks then you had better watch out. However you beat these players but not by defeating them in big pots when you play them in full ring. It is very hard to defeat them in bog pots often enough because they simply do not get all in for 100bb without the nuts or a powerful non-nut hand. You beat them by winning small and mediocre pots and you beat them by playing what is known as small ball poker. You will be on the wrong side of big pots as often as you are on the right side and so this isn’t where you make your money against rocks. Steal from them and force them to commit more money when they don’t really want to and you will basically own them. So you are suggesting players should ideally try to first identify this type of player and then try to outsmart them in smaller bets? Good points, but i personally feel rocks are easy to play against. They are usually straight forward and dont bluff much. If they bet they have it and if they check we just bet and steal the pot most of the time.